It’s one thing to have customers, but it’s another thing entirely to have customers who are making you a healthy profit. That difference is what makes your customer retention strategies so essential to your e-commerce business. By smartly and effectively shaping your online store, you can maximize the number of clients who will return as repeat customers, and increase the profitability of each customer you retain. Here are a few ideas on how to do just that. Generally speaking, you should be wary of discounting. It’s important to realize that offering too many discounts can give customers unrealistic expectations regarding your pricing. That being said, there are times when giving a discount is the correct strategy. Look at your customer retention statistics and see where you can draw in more customers. Offering discounts to second-time purchasers or customers who haven’t made a purchase in a while can be effective tools to turn one-time buyers into regular clients. Customer accounts are a great way to entice customers to return, as they’ll have access to previous orders, as well as have their shipping and billing information retained by your store’s website. On the other hand, some new customers see signing up for a customer account as daunting. Therefore, by making customer accounts optional instead of mandatory, you can avoid scaring off noncommittal clientele. More strategies to increase the number of users who sign up for customer accounts include having an easy way to sign up for an account after making a purchase, and sending account activation reminder emails along with purchase info to clients who don’t activate their accounts. 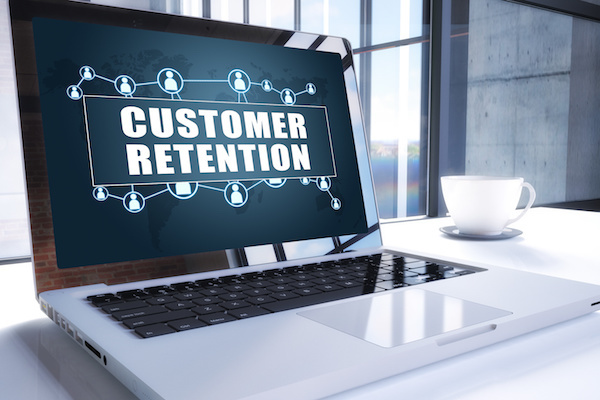 Some customer retention strategies are two-fold; for example, once you have customer accounts, you can add a customer loyalty program to further entice your clients to come back for return visits. You can do everything from rewarding customers for their first purchase to giving clients a discount after they reach a certain number of dollars spent. Also, if you’re having trouble getting customer account sign-ups, consider offering welcome points to new users. The key word here is engaging. It seems like every company under the moon uses email marketing to some degree, but how many send out emails that customers are genuinely interested to read? Emails that feature offers, exclusive updates, or important information are far more likely to make a positive impression on clients. It’s also important not to oversaturate the market; if you’re sending out email updates every hour, customers are going to start tossing them straight to the trash pretty quickly. Sometimes, it’s specific issues that are preventing someone from being a happy, loyal customer. To deal with these issues, you need a well-structured support system designed to open up lines of communication between you and your clients. By having accessible customer service, including online live chat, you can nip a potential customer’s problem in the bud and ensure that people who want to be your client actually can be your client. Want to learn more about effective customer retention strategies and how to implement them? Numinix has a team of experts ready to help you with your e-commerce website. To learn more, please contact Numinix. Which of these customer retention strategies do you think will work well for your business? Let us know in the comments below.